It's 1 o'clock in the afternoon and you do not have any wish to go to the university and attend your classes because outside, waiting for you is our very own 'Shurja Mama', the one and only, as ready as ever to burn you with its mighty heat. Though it is not summer yet but the heat is enough to kill us, isn't it? 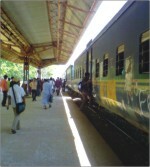 Chittagong University, one of the oldest and most prominent universities in Bangladesh has often been known as a 'University with the shuttle train' because of its uniqueness of having shuttle trains for commuting to and from the campous everyday. From its very start, students are dependent on these trains and their running on time. 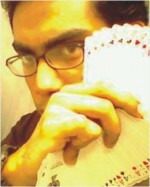 I saw David Blaine do his street magic few years back on TV. From then on magic meant more than some mere open-the-box-and-disappear tricks, or dragging rabbits, flowers or humans out of a hat for me.